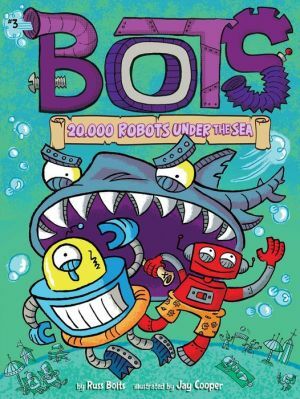 Joe and Rob visit an underwater beach in this third adventure in the hilarious Bots chapter book series! In this story, Joe and Rob are taking a beach vacation with one tiny twist. The robot beach is located at the bottom of the ocean! Come along as Earth’s favorite bots stumble onto an underwater wreck, a treasure map, and one really friendly robo-shark who won’t leave Joe and Rob alone.